Translation: Sergey Zhuravlev - the Reversal of the "Russian Cross"
18 Comments to "The Boris Bombshell. Two Years Later. Still a Dud." Speaking of Milov, this is worthy of translation. Thanks for the link, Leos. For those who don't read Russian: it basically says that Vladimir Milov is leaving Solidarity (the umbrella "liberal democratic"/opposition party in Russia) due to its authoritarian ways and fecklessness. He's moving onto other liberal projects. This is hardly exceptional, of course... there are also the cases of Korchevnaya, Nikita Belykh, Masha Gaidar, Marina Litvinovich, etc... who have become deeply disillusioned with the official institutions of Russian liberalism. BTW, A Good Treaty has an excellent post Solidarnost’. Itogi. 2 goda. (Solidarity. The Results. 2 Years.) on the fecklessness, egomania and bigotry of Solidarity's leaders. Nemtsov is just mad at the current government, because he didn’t get the president’s chair. And we all know he wants power more than anything. Hence, all the ‘exposes’ on Putin and Medvedev. I’m sure that in the nearest future Nemtsov will be aking up his own stats just to mess with Putin. Good work Anatoly. I am not entirely unsympathetic to some of the aims of Russian liberals, but they really do seem to be led by narcissistic nutters. Good point as well about his target audience: I’ve actually heard some similar things about some of Chavez’s supporters being country club members, and think that the received wisdom that ‘middle class foreigner’ means someone who will oppose demagogic leaders in favour of US hegemony is very badly wrong. They didn't translate the petition; in fact, I'm pretty sure that they would as soon it didn't see the light of day in English because it is so patently ridiculous to all but the most ideological observers. It was done by the Russia-watching blogger A Good Treaty. Good work. 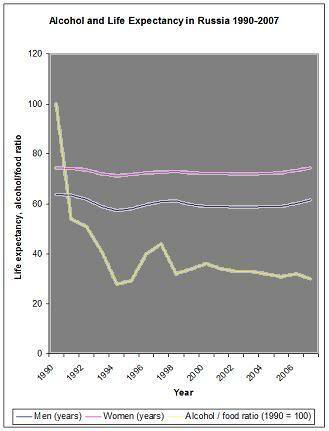 How very sad but also very expected that Nemtsov’s “analysis” of Russian demography would be so hackneyed and silly. Indeed it is percisely this sort of mendacious crap that really turned me off to the Russophobes: you don’t need to make things up to attack Putin, but they constantly insist on doing just that. I’m not prepared to say that every country gets the government it deserves, sometimes governments do just seize power through force of arms, but, just maybe, every country gets the liberal opposition it deserves. I completely agree with this assessment, Mark. If I remember correctly, what originally completely turned me off to Kasparov was an interview he gave (in English) to (Western) media outlets about how Australia should not sell uranium to Russia because it is an evil empire that will pass it on to Iran. Sorry, but I don't want someone who practices economic sabotage against his own country to become President or assume any position of power at all for that matter. (That was also about the time I was beginning to get interested in Russian politics). I actually meant that the Russian state may deserve its liberal opposition (Russians deserve much better IMO) because of its idiotic hamfistedness, which seems to have the indirect effect of leaving only the driven ideologues and loudmouths and cranks in the limelight. This was easily the S/O post that was most boring for me to write in at least a few months. I can only admire the level of dedication it must take to actually translate Nemtsov’s scribblings in full, as Dave Essel does. Thanks for the link, Leos. For those who don’t read Russian: it basically says that Vladimir Milov is leaving Solidarity (the umbrella “liberal democratic”/opposition party in Russia) due to its authoritarian ways and fecklessness. He’s moving onto other liberal projects. This is hardly exceptional, of course… there are also the cases of Korchevnaya, Nikita Belykh, Masha Gaidar, Marina Litvinovich, etc… who have become deeply disillusioned with the official institutions of Russian liberalism. Good work Anatoly. I am not entirely unsympathetic to some of the aims of Russian liberals, but they really do seem to be led by narcissistic nutters. Good point as well about his target audience: I've actually heard some similar things about some of Chavez's supporters being country club members, and think that the received wisdom that 'middle class foreigner' means someone who will oppose demagogic leaders in favour of US hegemony is very badly wrong. They didn’t translate the petition; in fact, I’m pretty sure that they would as soon it didn’t see the light of day in English because it is so patently ridiculous to all but the most ideological observers. It was done by the Russia-watching blogger A Good Treaty. Good work. 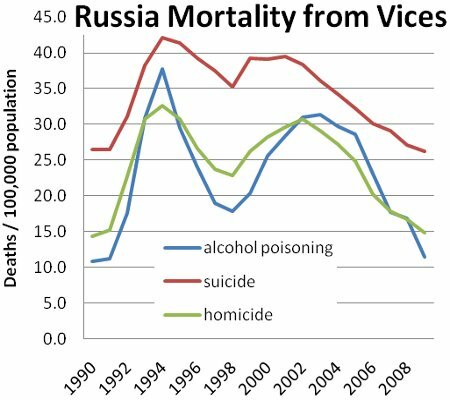 How very sad but also very expected that Nemtsov's "analysis" of Russian demography would be so hackneyed and silly. Indeed it is percisely this sort of mendacious crap that really turned me off to the Russophobes: you don't need to make things up to attack Putin, but they constantly insist on doing just that. I'm not prepared to say that every country gets the government it deserves, sometimes governments do just seize power through force of arms, but, just maybe, every country gets the liberal opposition it deserves. If I remember correctly, what originally completely turned me off to Kasparov was an interview he gave (in English) to (Western) media outlets about how Australia should not sell uranium to Russia because it is an evil empire that will pass it on to Iran. Sorry, but I don’t want someone who practices economic sabotage against his own country to become President or assume any position of power at all for that matter. (That was also about the time I was beginning to get interested in Russian politics). BTW, A Good Treaty has an excellent post Solidarnost’. Itogi. 2 goda. (Solidarity. The Results. 2 Years.) on the fecklessness, egomania and bigotry of Solidarity’s leaders. How would the topmost graph look by itself? 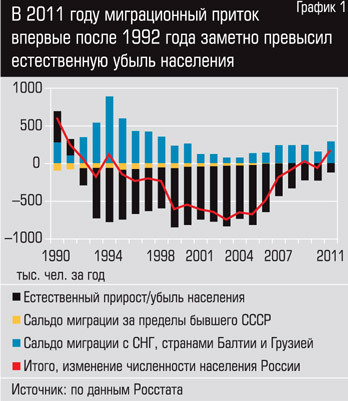 That is, not taking into account the higher net immigration rate during the 1990s or the influences that prior events had on the Yeltsin and Putin eras?